Dr. Maria-Ribera Sancho is a tenured professor at the Department of Service and Information System Engineering at UPC. She has been active in the Software Engineering field for over 25 years. She has served as Dean of the Barcelona School of Informatics http://www.fib.upc.edu/en/ at UPC(2004-2010) and as vice-dean, head of studies in the same school (1998-2004). 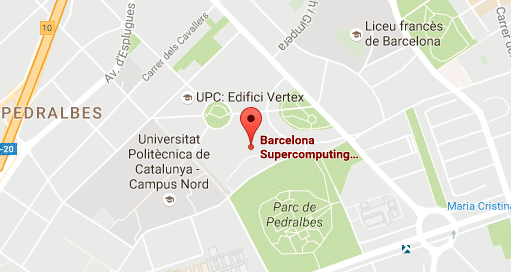 She is currently Manager of Education and Training department at Barcelona Supercomputing Center http://www.bsc.es/ . Her main research areas are learning analytics, conceptual modelling, information systems and software engineering. Her interests include Service Science Engineering (SSME). She has published extensively research articles and papers for International Congresses and Journals. She is member of the Information Modelling and Processing research group of the UPC http://imp.upc.edu/ca. She’s also active at the innovation lab inLab http://inlab.fib.upc.edu/ leading learning analytics projects. She has leaded and participated in many projects at different companies and institutions. Spanish representative at the IFIP TC8 (Information Systems). Dean Country Ambassador at Deans ‘European Academia Network-DEAN (2006-2010). President of the Spanish Council of Deans and Directors of Informatics (2006-2010). Honorary member of this Council since 2010. She is member of the committee for the Barcelona Strategic Plan. Member of the PLANETIC platform (Spanish NESSI affiliated platform). Board member of SISTEDES (Spanish Society for Software Engineering and Development). Member of SNOLA (Spanish Network of Learning Analytics) and SoLAR (Society for learning analytics research).